"In memory of 28th January (28/01/2019) when Anne Yates lost her battle with cancer. You can restrict it to R19 if you choose. Enter your time for 2801m"
An early entry from me as well. Weekend just begun, didn't want to start too fast. 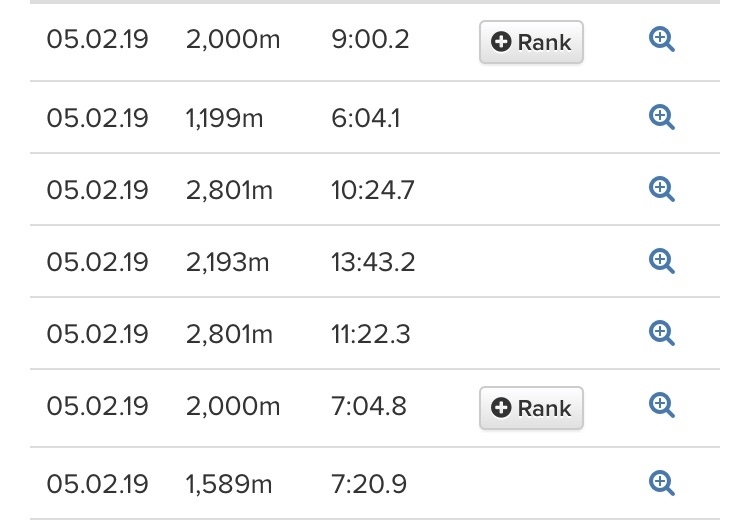 Overall the pace is one second slower then the September challenge. I had two bites at this early today. First run through was an attempt at r19, which definitely was not my finest moment. None of my standard sessions involve any sub r20 pieces, so this was a step into the unknown. 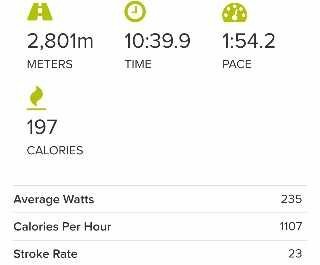 Not very consistent pacing and sluggish to boot. Together with the IRL this distance is nice for some longer intervals, so after blowing up on the 2k for the IRL, I thought I have an easy go at the 2801m to have a first marker. I actually started with a 1:53 target, but my mental calculation was wrong and after a few hundred I knew it should be quicker sadly. Wolfmiester wrote: OK, I'm improving. You meant something like this??? Personally gave it a try as well, but I strained a muscle in my back this week and though the rowing is ok the breathing is a bit painful. Which is annoying when doing a challenge like this. So I didn't finish, but as Tako said, there are many days left. This was a complete self doubt piece. Started out with a pace boat @ 1.54 which immediately felt too slow. 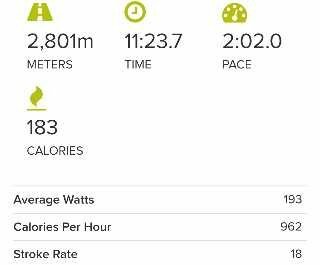 Picked up the pace and wavered between 51-53 pace as I alternated rapidly between feeling fine and anxious about finishing at all. Found a bit of energy to sprint home. Fred, take care of the back and I hope it recovers for you. 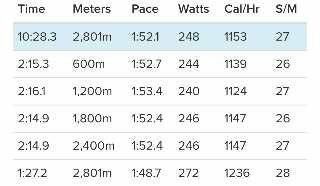 1:52 pace felt ok right from the beginning so after the second 400m segment I decided to push it a bit, down to a 1:51 pace. 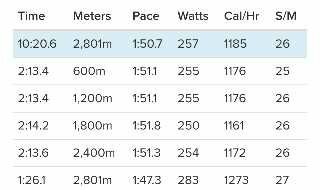 After segment #4 I still felt ok so I went for a 1:50 split. With 800m to go it was time for an (early) finish sprint. That's absolutely not necessary Jonny! Being a good team mate I don't want you to be in any pain you know, why aren't you having a rest until let's say March 1st? It has been a while since we had a boat that close to the top ten, that late in the month, if I am not mistaken?! So with Guy, Claudius, Morten and Max still out there, the first boat can even go higher. I confess to having forgotten that I am away again this week and only remembered at the weekend. 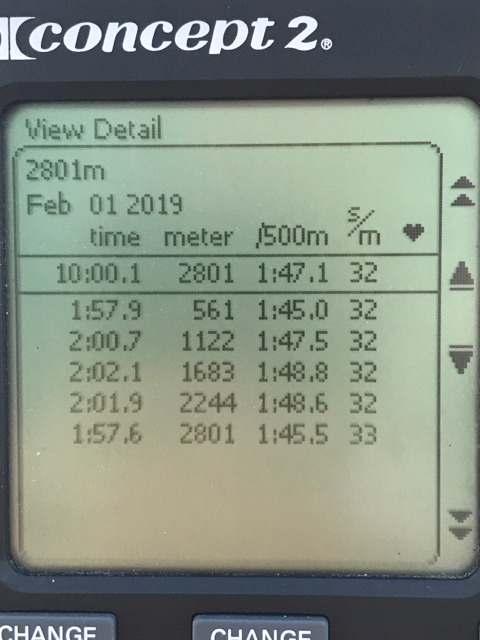 So I ended up leaving myself 3 rowing days for the IRL, an attempt to keep my PB run going and the CTC. That's a long way of saying it will be the last day of the month before I get a chance to attempt this. Hello, well done everyone, and it is really a very similar ctc like the one in September, but after a week in Garmisch with lot of nordic skiing and after that a whole week complete without sport i sat since Starnberg first time on erg on this Sunday evening to get a score for the ctc, wasnt in the mood for trying it under a 1:45 pace...which could have ended up in HDing...and i do not wanted that... ...so made it finally in under 10 min, not my best...but thats what was achievable ! Last edited by Claudius on Tue Feb 26, 2019 3:58 pm, edited 1 time in total.